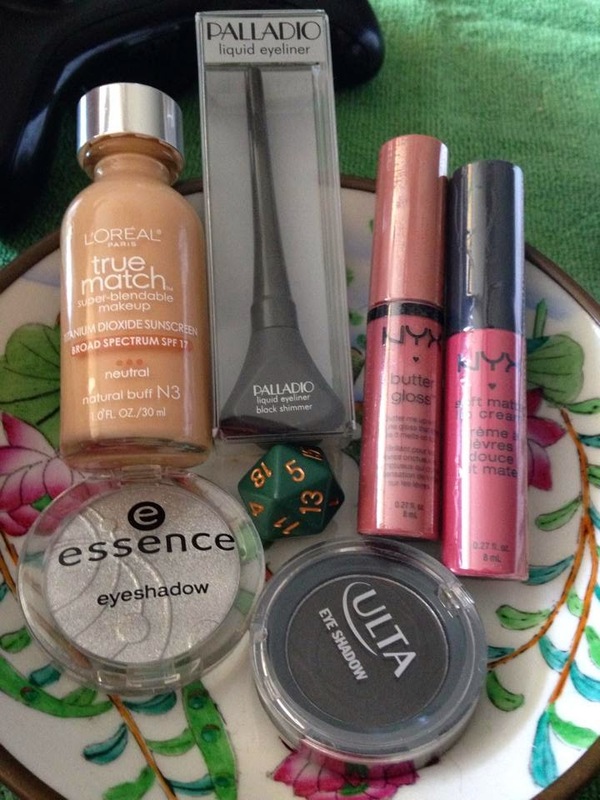 Hello Wench: Mini Ulta Haul! I was feeling pretty down after a memorial service I had to attend, so I did some retail therapy at Ulta to cheer me up! I had a $50 gift card from AT&T so I decided that would be my little budget. I went looking to splurge on the Tarte palette, and of course they STILL didn't have it. So I got some other drugstore things instead. I reallllly wanted to try the L'Oreal True Match foundation because all I hear are great things about it. My current foundation is a taaaaad to dark for my current (pale) skintone. So I picked it up and tried it out this morning. I realllllly like it. Light, long-lasting, and stands up to the Florida rain/heat/humidity. I also picked up a Nyx butter gloss in Tiramisu and a soft matte lip cream in San Paulo. They were both on sale and the Tiramisu is an amazing neutral, while San Paulo is matte and so vibrant to wear. I've worn the Tiramisu with more bold eyeshadows and when I want the attention other than my lips. While I've worn the San Paulo with neturals and had that pop of color on my lippies. Also pictured is this silver essence eye-shadow, its metallic and I'm going to pair it with the black Ulta eyeshadow. I have an idea for where to take this look, but I've gotta test it out first. Overall, it was a successful trip and I really like the things I purchased.